Longing for a tranquil cruise atop the high seas? We know the feeling. Sadly, for many would-be cruise-goers, work commitments, funds and general life can often stand between you and your dream trip – until now. Book a short or taster cruise with Cruise1st Australia, and you can squeeze a water-borne break into your working week. We offer short, taster cruises of two to five nights – many of which are available on weekends – so you can set sail on a Friday and return on a Monday, relaxed, rejuvenated and ready for whatever life throws. Interested? Then keep reading, as we provide an in-depth guide on how to make the most of a short or sampler cruise getaway; including information on destinations, cruise lines and general tips and advice. 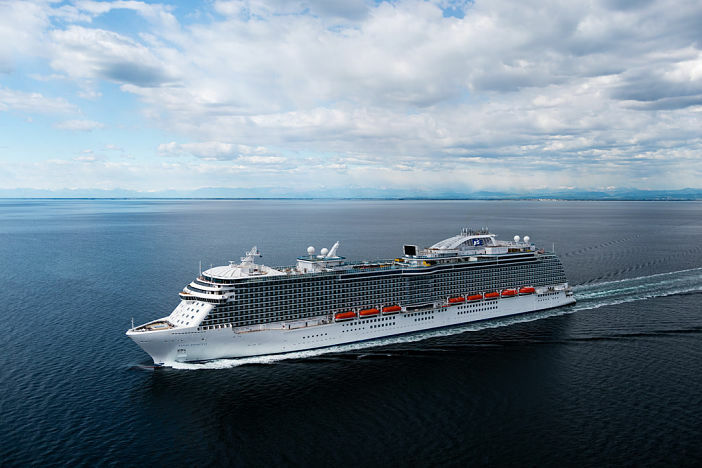 What is a Short Cruise? Whilst the term “short cruise” varies from cruise line to cruise line, at Cruise1st Australia, we class a short break cruise as any sailing of five-nights or under. Five nights may not sound a lot, but the duration offers greater flexibility for those unable to take any more time off to enjoy a cruise break. Short cruise itineraries are ordinarily round-trips, with two or three port calls in various destinations. During a short cruise, passengers will be given time to enjoy the ship, as well as ample opportunity to explore portside. Given the duration of travel, short cruises are limited in terms of the amount of destinations included in a single itinerary. That said most short break cruise trips make at least two or three stops, giving passengers ample opportunity for exploration. If you book a short cruise departing from Australia, sailings often include destinations such as Tasmania, Melbourne and Kangaroo Island, as well as various port calls along Queensland’s Sunshine Coast. If you’re able to fly to a cruise departure port, the world is your proverbial oyster when it comes to short break cruising. Whether you fancy lounging on a beach in the Mediterranean or soaking up ancient culture in Asia, short cruises are available in most destinations – if you’re willing to go the distance. As Australia’s largest supplier of cruise holidays, P&O Cruises are a good choice when it comes to finding an affordable short break cruise. Departing from Brisbane, Melbourne and Sydney, P&O offer a number of short cruise breaks at reasonable prices. Like a short cruise, only shorter; taster cruises – or sampler cruises as they are sometimes called – exist to offer new cruise-goers the chance to experience a cruise before they commit to booking a longer sailing. Cheap and flexible, taster cruises are becoming more popular – particularly for those looking for an affordable weekend break. Cruise lines usually offer taster cruises as the result of a ship repositioning, or simply when the schedule allows it. Noticing the growing popularity of taster cruises, some cruise lines have started offering themed mini-breaks that tie in with a special event or occasion. From specialist ‘Food and Wine’ breaks to cruises that include entry to the Australian Open – there’s a lot to discover on a short, sampler cruise. Naturally, given their short duration, taster cruises are extremely limited on the number of destinations they offer. Normally, cruise ships will depart from a port, spend one or two nights at sea, before returning to the same anchorage. Whilst this may not be to everyone’s taste, it does provide the opportunity to relax and enjoy the facilities, amenities and attractions on-board the ship. Royal Caribbean and P&O Cruises offer regular sample sailings from ports including Sydney, Brisbane, Melbourne and Fremantle. Prices for sampler cruises with P&O and Royal Caribbean start from just AUS$399pp for a 2 night sailing, making them an affordable option for weekend cruise-goers. Whether you want to explore never-before-seen destinations or simply getaway from it all, a short break or sampler cruise is the perfect way to enjoy a flexible and affordable cruise holiday. To help you make the most of a short cruise holiday, here’s some hints and tips on how to enjoy your holiday to the fullest. Find Out What You Want To Do Before You Set Sail: If you book a short break cruise that calls in one or more destinations, do your research before your holiday is due to start and pre-book any excursions or trips. If you wait until you’re at sea to think about what you’d like to see and do, you risk missing out on excursions or daytrips. Don’t Lie In: Unless you’re on-board to relax and unwind, don’t lie in during a short break or taster cruise. With so much to see and do aboard each vessel, it would be a shame to waste precious time sleeping. Wake early, enjoy a good breakfast and get ready for an unforgettable day on the high seas. Consider the Pros and Cons of Cruising: A short or sampler cruise is the perfect time to consider just how right a cruise holiday is for you, so take some time to weigh up the pros and cons of cruising whilst you’re aboard. Think about what you like and dislike about cruising, and try to decide how likely you’d be to book a longer cruise in the future. At Cruise1st Australia, we offer a comprehensive range of short break and taster cruises from a range of cruise operators, including Royal Caribbean, Carnival and P&O Cruises. To view our complete range of short cruises, visit our dedicated short break cruises page, or call our helpful team on 1300 857 345. Images Sourced via Princess Cruises Photostream and Flickr Creative Commons. Credits: Princess Cruises, Go Holiday.